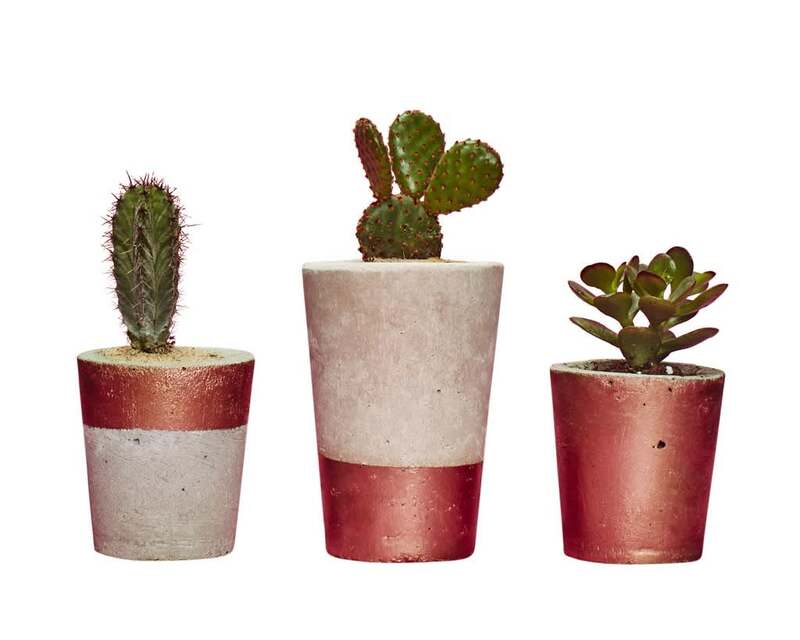 Concrete Cactus Pots/ Concrete Planters, Set of three: Copper - Perfect easy care houseplants set & long lasting gift by Hi Cacti! Discounted price for a set of three handmade concrete pots in the same colour wave as seen in picture with assorted cactus and succulent. Care: Each plant is easy care and comes with a care card for instructions. Hi Cacti in Brighton, United Kingdom.